Free CD to Blog readers! Rather unexpectedly, I’ve recently got hold of some spare boxes of a CD I recorded a couple of years ago when playing in an acoustic folk/roots duo. I doubt I can sell the CD any more so I thought it was much better to get them ‘out there’ rather than leave them mouldering away under the bed for another 10 years! So, I’ve got 100 copies here, free to anyone in the Blogosphere who fancies one! Simply send me an email to freecd@cbatkin.plus.com with your name and address and I’ll bung one in the post to you (first come, first served). 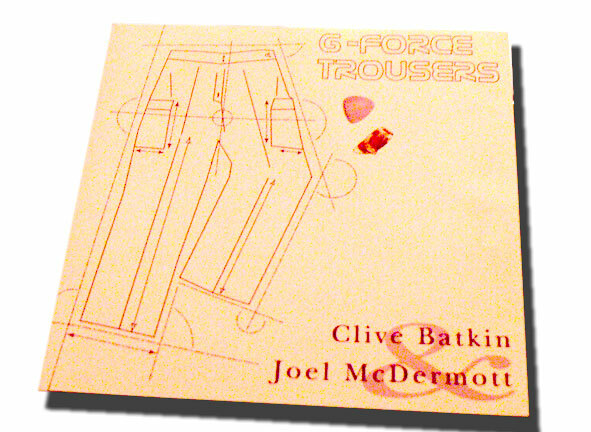 In return, I’d love to know what you think of it so please add a comment to this site (or email me, or visit my guitar site at www.cbatkin.plus.com) – you can hear some snippets of the tracks on the CD at this page >>. Some friends of mine have just started a very cool community/showcase site for the visual arts that I feel compelled to mention. 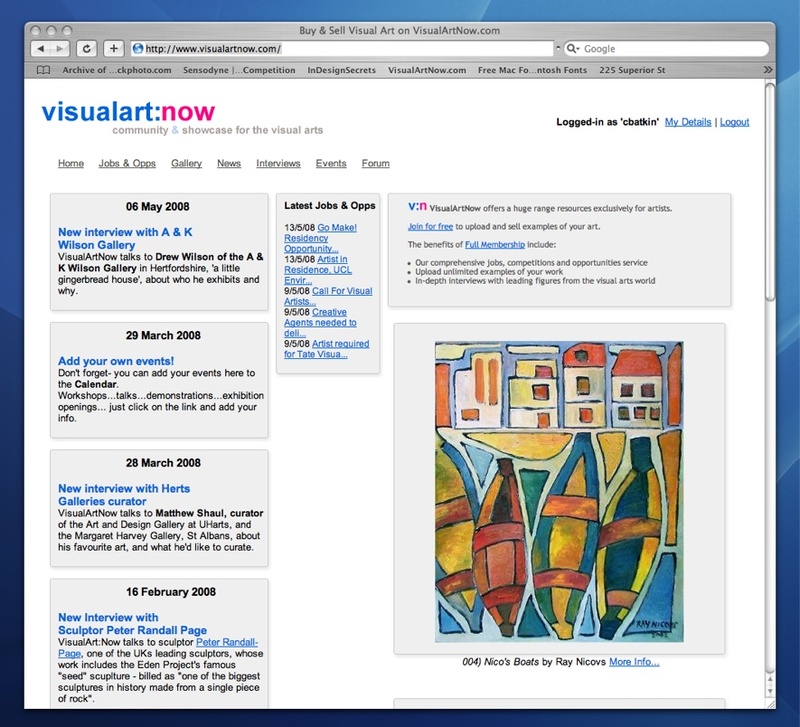 Called visualart:now, the site has lots and lots of stuff to commend it to both the practicing visual artist or pure enthusiast alike. In addition to allowing one to merely upload images of work and sell it online (which lots of sites seem to do these days), this one adds a lot of value by having numerous additional features such as relevant articles, interviews with established artists, an events diary and a forum. Most useful to the struggling freelancer is the ‘jobs/opportunities’ listing, which I’ve already taken full advantage of! The site is also incredibly easy and logical to use. So, enough enthusing – I’m off to get the camera and put some of my more recent items of scrap sculpture up there!! Gig leads to woodland photoshoot. . . So, on top of normal business this week, I rather rashly agreed to do a dep gig over the Bank Holiday weekend with a new (to me, at least) band. Emma Easy is a 22 year old singer/songwriter who crafts some really interesting lyrics and melodies. In addition to solo performances, she also has a bass player and drummer who accompany her at larger concerts – a few gigs arose that her existing bass player couldn’t do, so they asked me to stand in. Although the bass is not my first instrument, they had seen me depping with country/folk band Navaro, so thought I could do the job. I also know her drummer Dave Morgan (ex-Primal Scream, the Weather Prophets and Rockingbirds, to name but a few…) from my local music scene, and coincidentally used to play in a short-lived jazz/funk band with the bass player some ten or so years ago. With a half hour of material to learn in ten days, and with only time for one rehearsal, I think the gig went surprisingly well – we were fortunate to be playing outside in lovely weather, near both a canal and a fantastic pub, so the setting at last couldn’t be better! I’m booked to do a few more with Emma and crew, and am really looking forward to it – a lovely bunch of people!